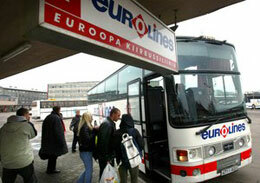 Hugo Osula, the major owner MootorReisi AS, which is operating under trademark Eurolines Baltic, bought 40% of MootorReisi from German bus operator Deutsche Touring Gmbh, Äripäev/LETA reports. Osula became the full owner of MootorReisi AS. "Eurolines have become one of the most attractive bus companies in the North Europe and I believe in bus transportations perspective in the Baltics. Highways and population concentration are an assumption to that. I've been in this business for 15 years and in that time one gets sense of market and understanding how it works," Osula said. He said that Eurolines is a good example of how international cooperation succeeds. "Germans actually wanted to acquire my 60%, I guess they weren't satisfied with their 40 percent. I didn't want to sell," Osula said. He didn't disclose the price of that deal. Osula also owns AS SEBE and a holding in OÜ Bussireisid.